Opportunity is never lacking in our progressive and forward-thinking Bank. Growing from strength to strength as one of Malaysia's leading financial institutions, there will always be new grounds explored and fresh, untapped possibilities in the employment arena. In this area, our scope is potentially many times bigger as Hong Leong Bank is part of a large conglomerate. We are currently opening up our doors for performers who can impress us with their talents and take advantage of our competitive remuneration package, personal development programmes and challenging career paths. 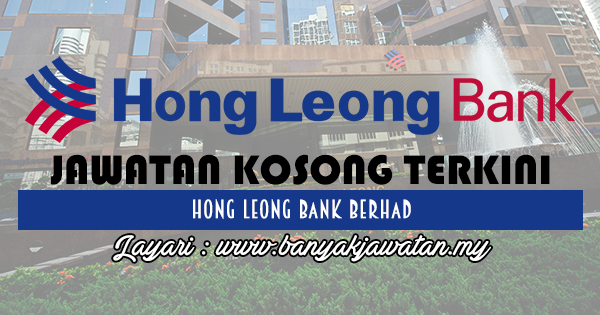 0 Response to "Jawatan Kosong di Hong Leong Bank Berhad - 24 Jun 2018"